Building a stunning WordPress theme can get challenging for users, particularly because it takes too much time to change the content elements of an existing theme via code tweaks. Then, most website creators don’t even know of the coding basics to achieve this. The result – users are dependent on existing themes for all the visual aplomb of their WordPress websites. Is this a limitation that they have to live with? The answer is a definitive NO. Like any WordPress plugin, there are drag-and-drop styled plugins that you can download and install. They add the functionality of creating web pages by dragging and dropping pre-declared content elements on any portions of the editor screen. These drag and drop builders transform your WordPress web page builder into a WYSIWYG editor. You can now work with content elements such as text boxes, images, videos, slideshows, forms, icons, banners, headers, footers, backgrounds, etc., by just dragging an icon from the sidebar and dropping on the desired screen area. 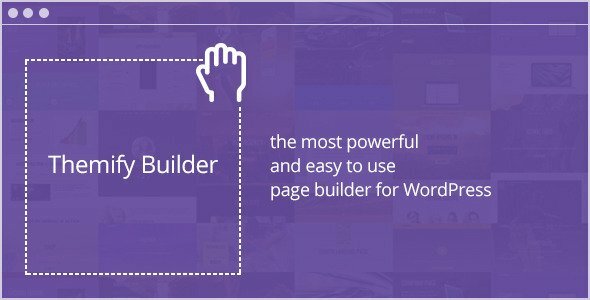 Drag and drop page builder plugins offer intricate customizations and settings for all these content elements to help you create a web page that can attract eyeballs. Visual Composer is among the most popular drag and drop page builders for WordPress, having clocked more than 260,000 sales already. Integration with some astounding Themeforest themes is a USP of this plugin. It comes with dozens of widgets and templates that help transform your WordPress interface into an advanced cockpit of visual controls. Visual Composer also makes your web pages responsive, which is a massive boost in mobile readiness for your website. Your Visual Composer powered WordPress website pages are backed by clean object oriented semantic code just like a site created with the help of free online website builders. Visual Composer offers support for several languages, and can work on top of pretty much any WordPress theme. It is also compatible with the highly renowned Yoast SEO WordPress plugin. Custom post times, 40+ templates and layouts, parallax effect, full width rows, and several visual element presets – these make Visual Composer a power packed page builder for WordPress. Leverage its online knowledge base and FAQs to understand and get things moving quickly. Plus, you get free life time upgrades, along with exclusive add-ons. BeaverBuilder has powered more than 275,000 WordPress websites already, primarily because of the easy to use interface that particularly appeals to beginners. Its multilingual capabilities make it relevant for WordPress websites in almost all languages. Live front end editing means you get a clear view of how your web page will look once you publish it. BeaverBuilder works with all kinds of WordPress themes, and makes your website responsive as well. Experiment with the numerous post types, custom pages, etc, and create a visually attractive and unique WordPress website within minutes using Beaver Builder. This plugin lets you save modules for reuse in the future, offers shortcodes and numerous widgets, and comes with dozens of layouts. and page templates. The code it generates is clean, and keeps SEO well into account. Even otherwise, you get built-in SEO features with this plugin. To top it all, there’s free lifetime upgrade support. BeaverBuilder comes to you in the form of different subscription packages, all of which offer unlimited website creations. The Agency version of the service offers advanced features such as multi site management from one dashboard, and options to tweak the core design of Beaver Builder templates. 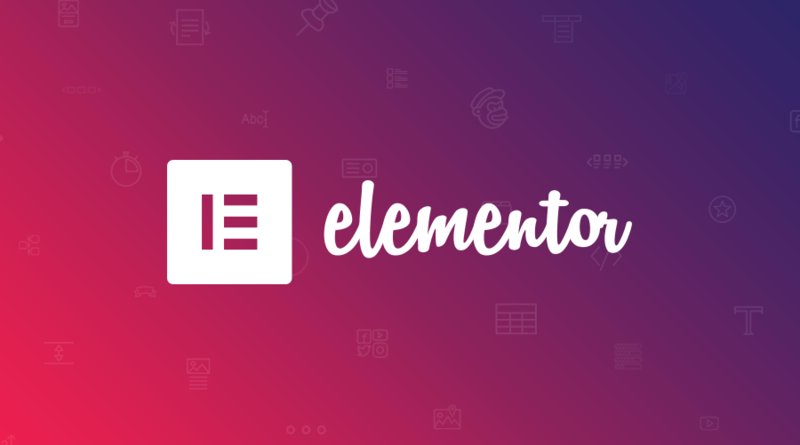 Elementor is an easy to use, power packed, and future ready page builder for WordPress websites, using the power of drag and drop. This awesome open source platform offers you 400+ icons, 600+ Google Fonts, and dozens of professionally crafted templates. Elementor beats its competitors hands down in terms of the screen width and height changes and resizing options it offers. Whereas most WordPress page builders offer simplified content editing options, Elementor ensures you get to tweak every section of the page content in every possible way, to get that perfect look for your web pages. Padding and margin setting, columns resizing, column and content positioning – you name it, and it has the settings and controls to help you tweak and reorganize everything. Elementor’s predesigned templates are stunning, and more importantly, you can easily customize them to every possible extent, and save as your own reusable versions. Advanced widgets such as Google Maps, Carousel, and advanced 3rd party design tools make it powerful. Columns, tabs, images, videos , spacers, dividers, buttons, HTML, shortcodes, toggle, accordion, tabs, sidebars, social icons, progress bars, chat boxes – you name it, and you’ve got it. Then, in the Pro version, you get all the more advanced buttons for Woocommerce integration, price lists, price tabs, social share buttons, portfolio creation, etc. If you’ve used a Themify theme already, you’d already know the kind of drag and drop ready content elements it offers. If you’re using any other theme, you can still enjoy the functionality of Themify using its Builder plugin. Using Themify Builder, you can style every element of your themes without indulging in any CSS coding. It allows you access to several content modules that you can directly add to your website, which otherwise need you to install separate plugins. Also, you can add banner ads anywhere on the website without editing the template files. You get several cool effects such as video loops, animations, parallax scrolling, etc with this builder. Live editing on frontend helps you clearly visualize the outcome of your design experiments using Themify Builder. Live editing adds a unique dimension to your user experience of working with the builder. Its ready to use layouts add a lot of design firepower in your bucket. SiteOrigin Page Builder is compatible with all browsers, screen sizes, and themes. The UI is remarkably similar to that of core WordPress, which makes it intuitive for beginners to use without any hassles. It has a history browser feature that lets you jump back to a known last good design state. There’s no limitation in terms of the design control you have; SiteOrigin Page Builder lets you define the exact number of columns you need per row, and lets you add weights to them. Row Builder feature makes sure you are able to create highly proportionate, structured, and beautiful looking pages. Live editing allows you to edit content in real time and see how it will appear to the end users. It’s available in 17 languages as of now, and hence enjoys global appeal. There’s a large enough online knowledge base and developer network to not only help you navigate the learning curve, but also to pose questions and get answers to them. Also, you’d want to check out SiteOrigin Widgets Bundle which offers you most widely used widgets that can add more power and visual aplomb to your SiteOrigin designed web pages. You don’t need to restrict your WordPress website design to any pre-designed theme, nor do you need to spend days in creating your own. Use a drag and drop page builder plugin for WordPress, and edit an existing basic theme to create something unique for your website.